In Boston – and in all the communities we serve — some of the most vulnerable students are homeless. These children may be doubled up with relatives or living in shelters or hotels. They may be hungry or struggling with asthma. They may need coats or shoes. “The goal is to make sure basic needs are met,” Joe King says, including food, clothes and transportation, “so that Children can stay in school.” King, a City Connects program manager, supervises the school-based coordinators who work directly with children and families. The need is substantial. 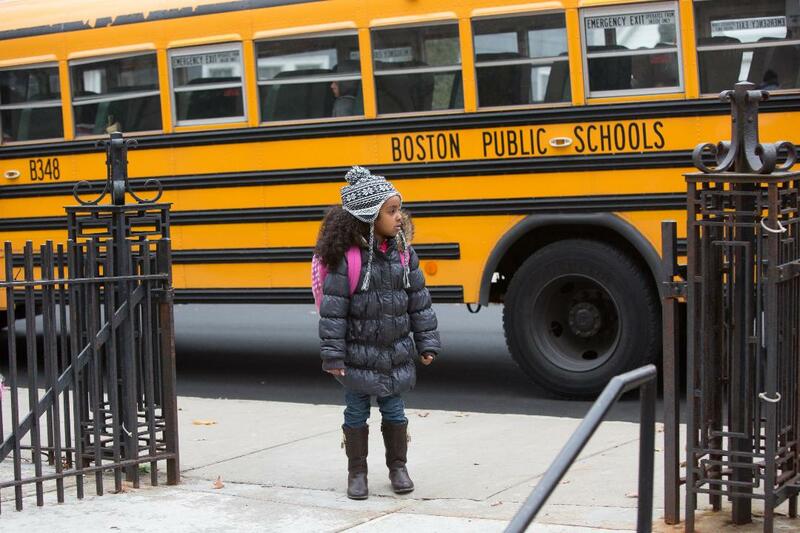 Boston Public Schools’ officials estimate that they educate some 3,000 homeless students. This is where City Connects’ whole class review can help: the review process picks up on telling clues such as students who are hungry throughout the day or who come to school in clothes that aren’t clean. These details may prompt coordinators to ask more questions that can uncover the fact that families are homeless. Then coordinators can provide children and parents with appropriate services. Coordinators also rely on their relationships with school personnel. “Sometimes the kids will come in and see the school nurse, and just in conversation, when they don’t feel well, they’ll tell her where they live or they’ll mention the shelter,” Danielle Morrissey, the coordinator at the Thomas J. Kenny Elementary School in Dorchester, says. Morrissey works closely with the nurse to keep on top of complaints about headaches, stomach aches, and other stress-related symptoms that can occur if a child is homeless. Morrissey is also part of her school’s’ attendance team, so she can see the absences and late arrivals that might also be signs. Transportation can be another hurdle for homeless children. “We have students in Lynn, Waltham, Attleboro, Medway, and a bunch of other towns,” Jaymie Silverman, a coordinator at the John Winthrop Elementary School in Dorchester, says. In the midst of a housing crisis, remaining in school can provide children with stability and support. Coordinators work with HERN, BPS’s Homeless Education Resource Network, to arrange transportation and to collaborate on delivering other services. Rosie’s Place, a Boston nonprofit that helps poor and homeless women. “The families that really, really need the support can be so overwhelmed that they can’t move forward with a plan,” Morrissey says, so coordinators are always thinking about new ways to connect parents and children to what they need. “There are times,” Silverman says, “when a family will disclose that they don’t have a place to live but they’re making too much money to qualify for assistance from the Department of Transitional Assistance.” In these cases, coordinators provide other resources and referrals. To discuss potential answers, King, Morrissey, Silverman, and other City Connects staff met with a member of the Mayor’s Office of New Urban Mechanics. It was a promising conversation that could contribute to progress for children. In this school year, Boston will invest $1 million in helping homeless students. And Mayor Walsh has said he hopes these efforts will help eliminate the access and achievement gaps that students who are homeless face. We wish we could end homelessness. But for now, we’re working hard to ensure that children can keep learning while they are homeless by connecting them to supportive relationships and all available school and community-based resources. It’s a step toward stabilizing their lives today so that they are prepared to succeed in the future.